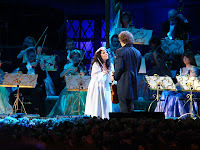 Saturday ~ Although it was raining quite heavily, the Sydney audience was undeterred. 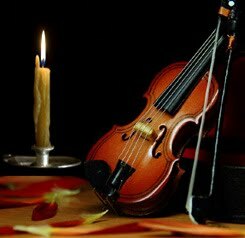 André wiped the Strad dry with a handkerchief while he waited for the crowd to be seated as they had been waiting in the aisles hoping the rain would ease. He then played “Singing in the Rain” together with the JSO. 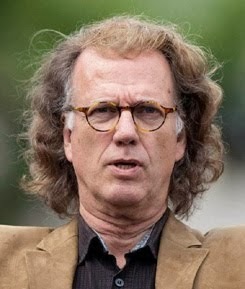 While he very patiently waited for the crowd to be seated, the cameras had panned in on a few rows of people wearing dark coloured ponchos and André joked about having a monastery attend the concert. He then blessed them and began an ecclesiastical chant, much to everyone’s amusement After a few more numbers, André surprised himself by sneezing unexpectedly. He pretended to wipe his nose on his sleeve and then burst into laughter. The rain stopped and the concert began, wowing the audience as usual. 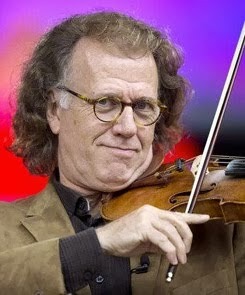 André was alerted that more rain was imminent, so he cancelled the intermission and played straight through to the end, telling the audience to take off their ponchos (but leave the rest on) and get up and dance. Sure enough, the rain returned but everyone was having such a great time that it didn’t interfere with the fun. Friday evening was also sensational and although there was thunder and lightning up until one hour before, not a drop fell during the concert, so obviously Clara had been sent an abundance of sausages. 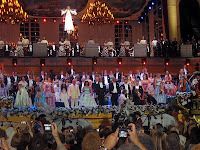 After the concert, when most of the crowd had left, André suddenly appeared back on stage and announced that he was having a photo shoot with everyone connected to the concert involved. 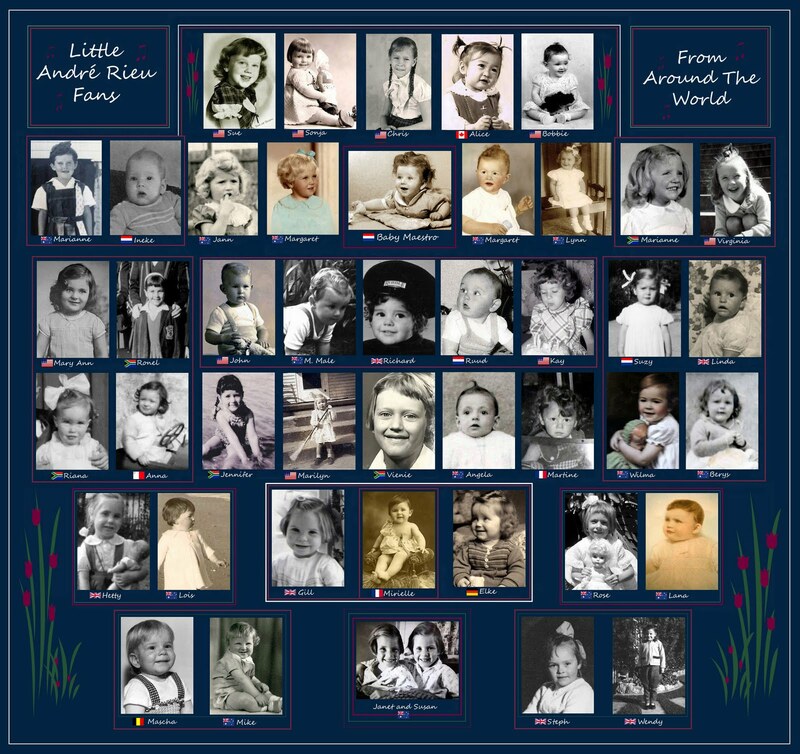 The coach and horses, skaters, debutantes, ballet, bagpipers, soloists, Roos, Pierre, Kerstin and her baby daughter, Alan Jones and even the stadium stage hands were all asked to be in the photos. Much to our surprise the remaining audience was asked to also stay and take their own photos as they wished. 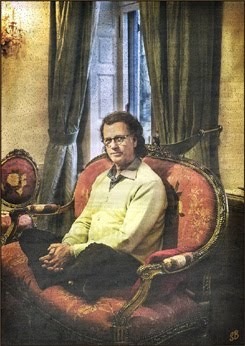 It was like a dream come true when André donned his spectacles and directed everyone into position. The only price we had to pay was to stay low and out of the way of the camera. Mirusia had us in stitches as she was suspended from the roof wearing her angel gear once again and she decided to ‘snow angel’ while waiting. André then asked for a round of applause for the stage hands and this startled one of the horses. Luckily the footmen were able to settle it down. It all goes to show just how giving André is. ALL Photos Are The © Property of Angela except the one of Kirsten's new baby girl "Ayko", that was taken by Beate at the same Photo shoot. 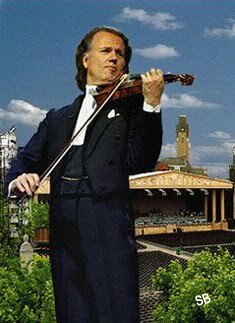 André Rieu's Last Three Concerts in Australia SOLD OUT! 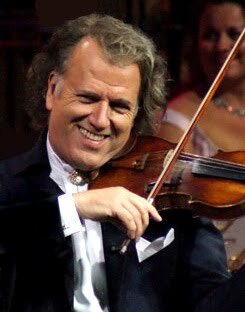 Dutch violinist André Rieu declared the Rolling Stones would have had nothing on Mozart as he played to 25,000 fans at ANZ Stadium at Sydney's Olympic Park. 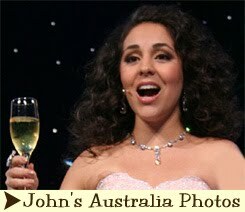 The performance on Thursday night marked the opening show of the Sydney leg of his Australian tour. 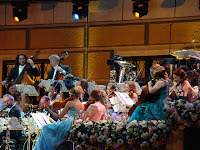 Rieu performed a selection of well-known favourites from classical and contemporary music including Strauss' Blue Danube and the theme song from Titanic. But the biggest crowd pleaser was an Australiana medley featuring Bananas In Pyjamas, the theme from Neighbours and Waltzing Matilda, among others. 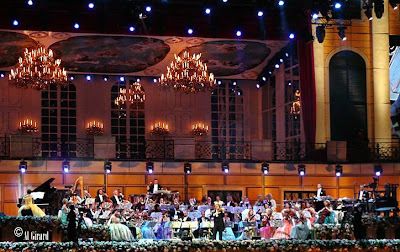 His over the top showmanship has earned the Dutch heartthrob the title of "The King Of Schmalz" but he proved a hit with the audience with members clapping along and getting up to waltz in the aisles. 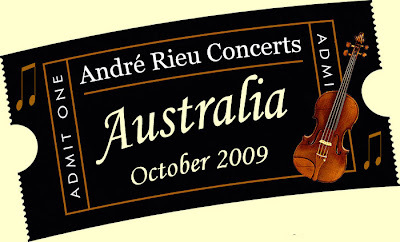 Sydney marks the fourth leg of Rieu's Australian tour which has already played in Melbourne, Adelaide and Perth. After two more Sydney shows the Rieu circus complete with dancers, ice skaters, soloists and a horse-drawn carriage, roll into Brisbane for his final stop. 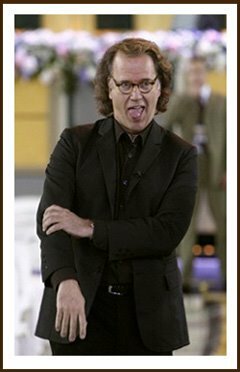 NOVEMBER 26, 2008 - Andre Rieu, Universal NZ's biggest selling artist of the past two years, will now be meeting his many fans at a signing session to take place at The Warehouse store in Sylvia Park mall in Auckland this coming Tuesday 2nd December at 1.30pm. 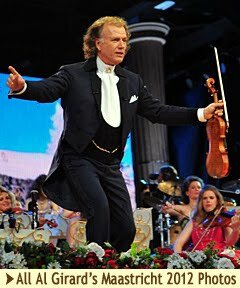 Following the postponement of Andre Rieu's scheduled trip to New Zealand earlier this week, Universal Music is very excited to announce that a new date has been confirmed for Andre's first ever New Zealand visit. Of the visit, Andre says "I am thrilled to be visiting your beautiful country and am looking forward to meeting all my New Zealand fans on Tuesday!" Andre is currently touring Australia and is taking time out of his busy schedule to make a very special trip to Auckland so he can meet his fans up close and personal at a signing session to support the release of his brand new CD Waltzing Matilda. The special New Zealand edition of Waltzing Matilda features Andr's own version of 'Pokarekare Ana,' recorded especially for his Kiwi fans! Andre will be meeting fans and signing copies of Waltzing Matilda at 1.30pm on Tuesday at The Warehouse store in the Sylvia Park shopping mall. Bring your copy of Waltzing Matilda to be signed, or purchase one from The Warehouse on the day. Make sure you get there early - a previous signing session at Melbourne's Telstra Dome saw more than 8,000 fans turn out to meet Andre. 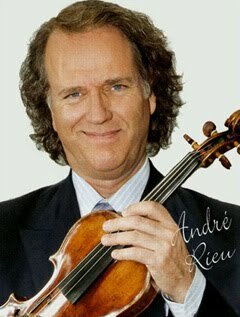 Don't miss this incredible once in a lifetime opportunity to meet Andr Rieu in person! 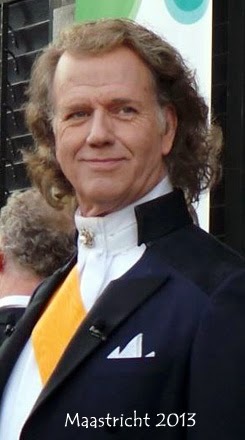 THEY may not shriek or faint, or throw their underwear on stage, but the adulation of the Australian fans of Dutch musician André Rieu is as passionate as his performance. 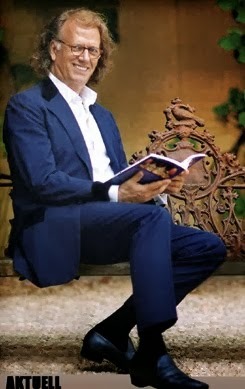 Since Rieu burst onto our charts and small screens a few years ago, he has inspired dozens of fan clubs and the kind of devotion which falls just short of Beatlemania hysteria. 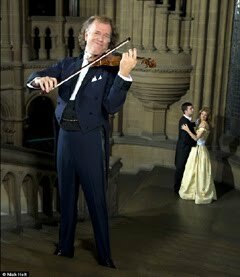 Margaret Sansom is one of the thousands who will be waltzing her way to happiness during his Sydney concerts this week with friends collected by their mutual admiration for the handsome Dutch violinist. 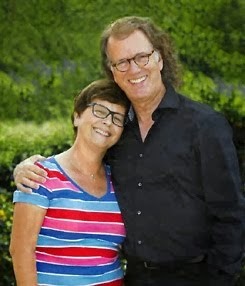 Kathy McCabe: Rieu has his finger on rhythm of life Margaret, a Newcastle member of the André Rieu Supporters' Club has already seen him in action at the start of his first Australian tour in Melbourne. Sansom gushes with delight about the sensory extravaganza he conjures with music, dance and lavish sets which include the re-creation of a Viennese palace. "It was just fantastic. He was fantastic and delightful," she says. "I loved it. The atmosphere was wonderful." 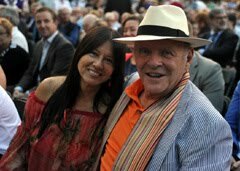 Sansom and her group have organised a picnic in Sydney's Botanical Gardens before heading out to ANZ Stadium for his final Sydney concert on Saturday. "We meet in Sydney a couple of times a month for lunch," she says. "There are about 20 of us." 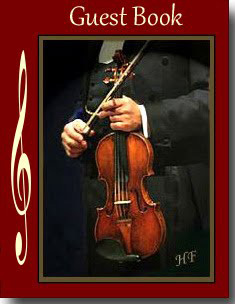 Like many of his fans Sansom was introduced to the flamboyant violinist by television, in her case the ABC. 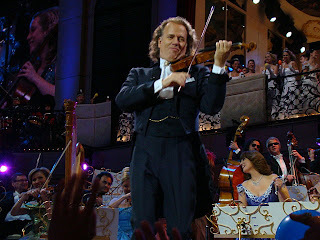 Others saw it on the Ovation channel on Foxtel - a prime example of Rieu's canny marketing. 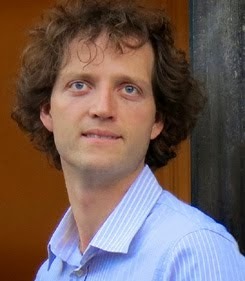 Rieu's advisers presented Ovation with an extensive library of his work free of charge. 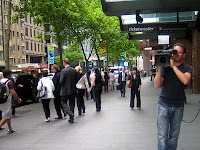 The subsequent showings ignited the previously unknown artist's popularity in Australia. 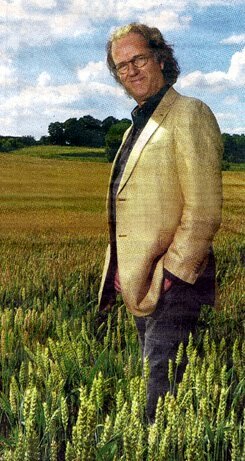 "Every time we went to air with him we doubled our audience," says co-founder of Ovation Leo Schofield. 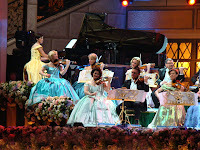 In the audience this week will be Anne Napoli, her husband Angelo and son Patrick, 33, who bundled themselves and some provisions into their car yesterday morning for the seven-hour trek to Sydney from Griffith to see Rieu perform. Anne is a fan but the trip is more on behalf of Patrick, who suffers from cerebral palsy. "He loves Andre's music," she says. "I'm just hoping we get the chance for Patrick to meet him and get an autograph." 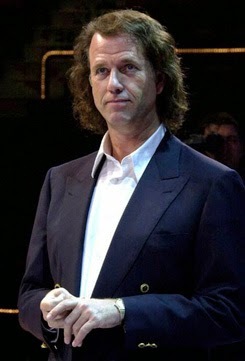 As for Rieu himself, he understands the perception of him as a classical "rock star". "I suppose it is the same. 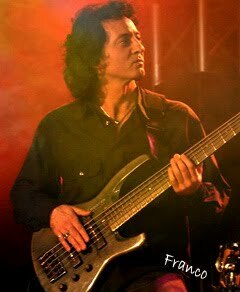 The entoruage is the same, I have many containers and equipment and I face my audience like they do instead of the orchestra," Rieu said. 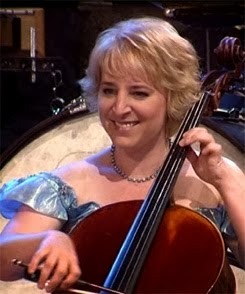 "But I am a classical musicians and I have to play the notes; I cannot improvise like rock stars." 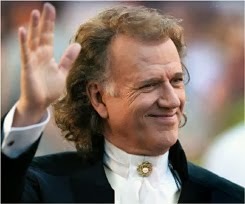 André Rieu performs at ANZ Stadium tomorrow, Friday and Saturday. 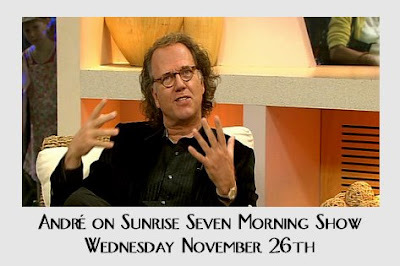 Watch André on "Sunrise Seven"
Australia's number one morning show today. You may have to (x) out the Parlor because of the music to watch the video. 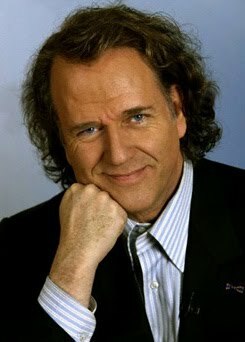 Al Travels To Australia For André Rieu's Concerts! 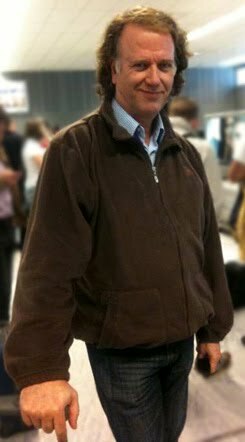 Al is home from his wonderful trip to Australia that seemed to go by so fast! 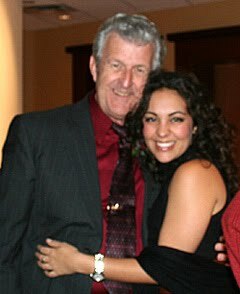 Click below to read what he has written for us all about the fan dinners and concerts he attended! 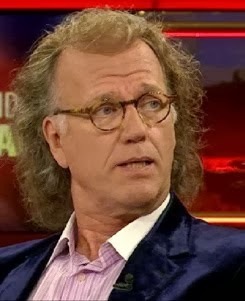 Who Was That Shoplifting André Rieu? HELP - I'm Surrounded by Two "Stud Muffins" !! ►When I rang my contacts to obtain a cardboard cutout for Ineke and Ruud, I didn't expect to end up with two of them ... armed with a blanket, I drove down to the store this afternoon to pick him up, the Manager and I covered him up to save an embarrassing walk back to the car ... but oh no ... there was a new security man who thought I was shoplifting!!! My quiet exit from the building came to a grinding halt. Explanations were not enough for the over-zealous security officer who insisted on seeing what was hidden underneath the blanket. As he called for the Manager, several passer-by's had stopped to observe what had now become somewhat of a circus as I stood there flushing away like a menapausal woman ... the Manager arrived and laughingly gave the okay for me to take my leave with my bundle ... alas the embarrassment continued, he didn't want to fit in the car, removing his camouflage I finally managed to wedge him lengthways between the two front seats and drove home glaring at his face !!! 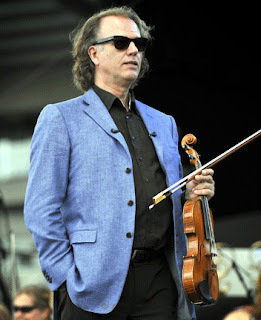 André was surely lucky with the weather during the concert but it was about to break. As I headed back to my seat to collect my bag with poncho’s, I thought I felt some spots of rain. Then just as the stage was cleared the rain came down and out came the poncho while I made a dash for the meeting point. As it was raining there was no-one about, so I found someone to show me where to go. 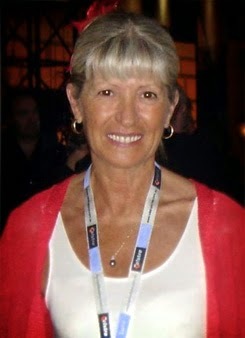 I met up with Vickie just as I arrived at the function room. 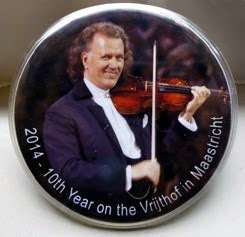 On showing our tickets we were given a lanyard with a fluoro green André Rieu pass. The room was full of people and after a welcome from Kerstin, Vickie and I found ourselves in amongst all André’s people. There was champagne and soft drink and lots of yummy looking food but we were too excited to eat. 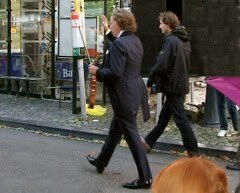 We had a great time spotting André and our favourite orchestra members. Before long Kerstin approached us to go and have our photo taken with André. 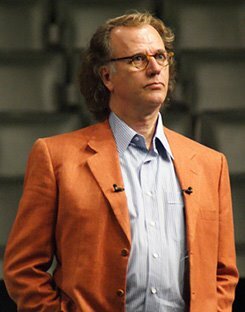 Andre was wearing a beautiful jacket and looked very smart. He was extremely charming and we stepped up nervously for our photo with him. We later saw him chatting in a friendly manner to heaps of others too. We then got to chat with Sanne and Frank both of whom were delightful. They told us they had been to Rottnest Island and Frank had got quite burned on his arms which he showed us. 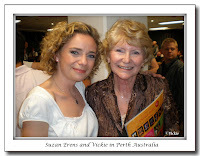 Coming across Suzan who was seated, she immediately jumped up to talk to us, a lovely girl. 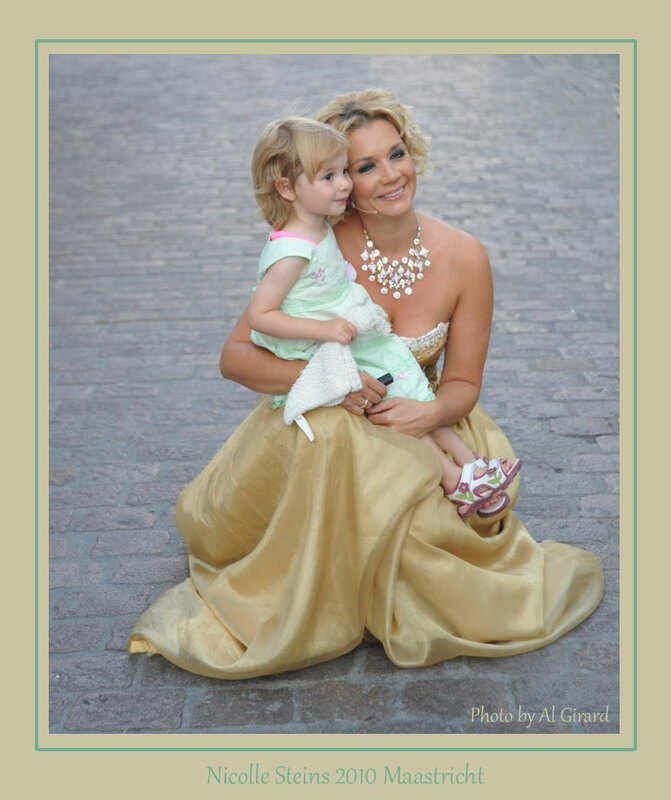 I told her, that her mother must be so extremely proud of her. Bela as usual a real gentlemen and very charming. Ruud and Lin also were seated but were relaxed and happy to chat. It is Ruud and Lin that I met in Adelaide who quite happily chatted there too. André autographed our programs and so did Frank. 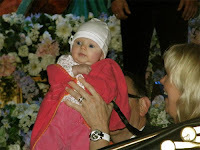 We spoke with Kerstin too and I asked her about the baby. Franco was in my sights but by the time we had finished talking to Ruud and his wife, Franco was gone. We couldn't get to Pierre as he was with his Dad and they were surrounded and we didn't want to add to the crowding. I think about a dozen fans were there but I couldn't really tell as everyone was there. There was not any music, so not really a party atmosphere like we expected, but still enjoyable to get close André and the JSO. We were told by staff that it would go until 1:00am, but by midnight most everyone had gone so Vickie called her husband and we headed out to meet him. Kerstin stopped by our table to say goodbye and André and Pierre had already left together. A lovely experience and we are both thrilled with our signed photo! 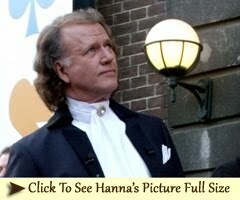 André Rieu First Place in Dutch Viewed TV Show! 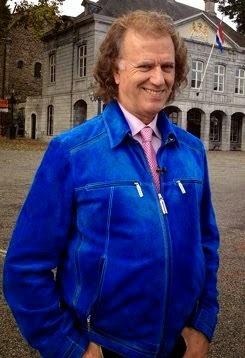 Andre Rieu Bumps "Popstars" From The Throne! 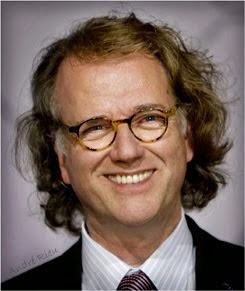 André Rieu will be named Ambassador of the HFL (Health Foundation Limburg) Cancer Research Foundation. 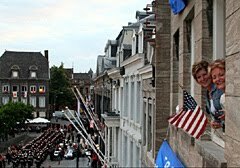 It was announced Friday at the opening of the Cancer Center in Maastricht. The foundation tries to raise funds for cancer research and was established earlier this year by the Academic Hospital Maastricht, Limburg Health Foundation and the Dutch Cancer Society. 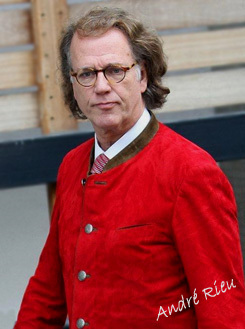 André Rieu was not present at the opening of the cancer foundation. 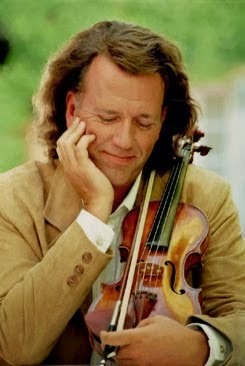 The violinist currently is touring in Australia and spoke to those present via a video message. 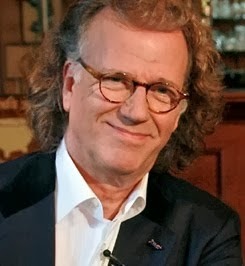 To illustrate his involvement with the HFL Cancer Research Foundation, André Rieu has donated a painting by his son Marc Rieu. The painting, "The Circle of Life", will be hanging in the greeting center of the Maastricht UMC Oncology Center. 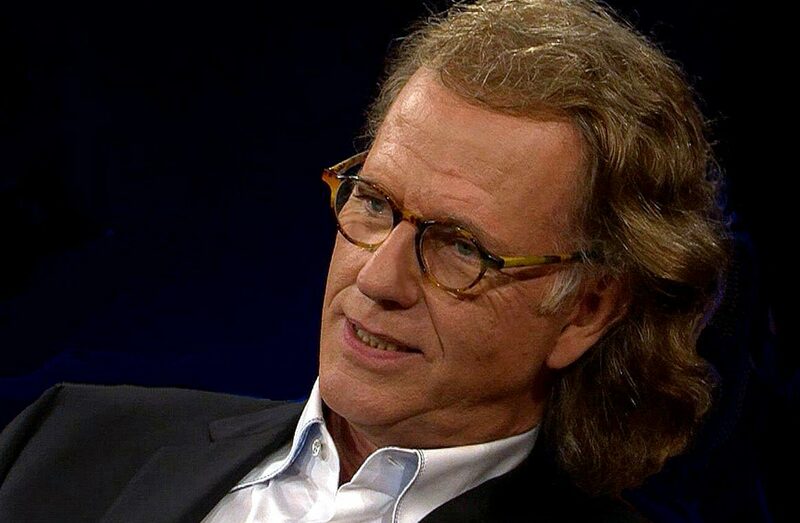 André Rieu: "It is a painting that has made a deep impression on me. It portrays the circle of life. You can continue to look at it. It has no beginning and no end. You only see a beautiful, colorful depth. Thank you John for the translation! 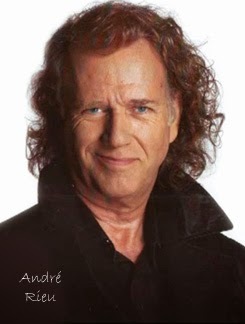 We hear so much of André the musician, but little of André the man. As you so well said, "this is a very nice gesture and definitely shows you what a guy our André really is. He is a man for the people." 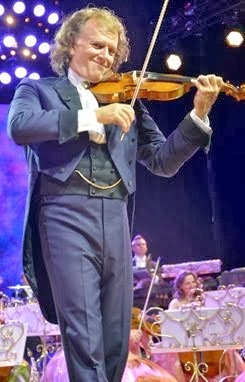 André Rieu Arrives in Perth To a Rousing Cheer From Fans! With such bad weather in Brisbane and all flights being grounded, there was 24hrs of tension waiting to hear when André would arrive. I finally got word and organised the troups! We all gathered at Dome café one hour before his arrival to get ourselves organised. André t-shirts, banners and flags etc all well hidden but the atmosphere was electric with excitement and anticipation while at the same time trying not to be noticed. My grandson Daron was overcome with excitement and being only 4 kept asking, “Is André here yet?” so much for discretion! 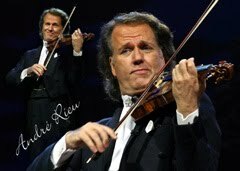 After whispering in his ear not to say André’s name, he then said, “is that man on TV with the violin here yet” OH DEAR ! We stopped and spoke to them about our love of André and the JSO and about our Appreciation Group and how excited we all were. They wanted to know how I came to start it, how I advertised it and how many were in the group. Of course I told them how I had emailed Jann to see if there were any groups in Perth and she had suggested I start one and was very encouraging and supportive of my efforts to get the group up and running. A plug for all the great work Jann does. Moving up to the gate in small groups we milled around the gate area trying not to look obvious while watching for André's plane to land which was running a bit late. 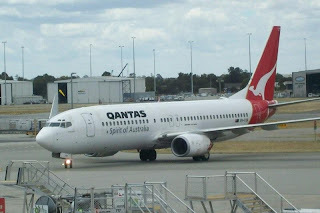 Photos were taken of the plane as it taxied in and of André and Pierre walking across the tarmac. The excitement was building as the regular passengers began disembarking and soon André banners, t-shirts and Aussie flags were revealed. 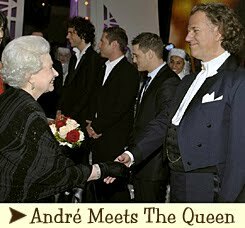 As André came through the door a huge cheer went up and André smiled and said, “ah this is nice”. He commented that it was a really long flight with turbulence and looked tired but was happy to pose with fans and give a few autographs, the Group were delighted to have been able to spend this special time with him. The procession then proceeded downstairs where the press were waiting. The press took over at this stage with interviews and André was obliging and stunning with his beautiful smile. My 4 yr old grandson Daron is a huge fan and was able to demonstrate to André the leaps that we have seen on many of his DVDs during the Chianti Song. This was later broadcast on Channels 7, 9 & 10. I did manage to tell André about our Appreciation Group and although despite being heavily photographed, he was listening. Moving to the baggage carousel things became hectic and André was really crowded, the press were still milling around him and by now many others at the airport had come across and the crowd had become quite large. It was easy to see André was tired but some of these people and reporters didn't know when to back off. This was when I stepped back to give him some room and my space was immediately filled by half a dozen others. Daron and I were then nabbed by the press so it was the end of my André time. I glanced up to see many of our group getting photos taken with André so I knew everyone was enjoying their special day. 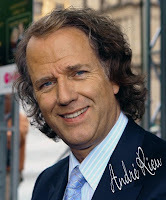 The group were really appreciative and thanked me profusely for organising their special André time. 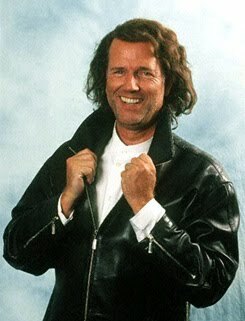 ANDRE Rieu is the P.T. 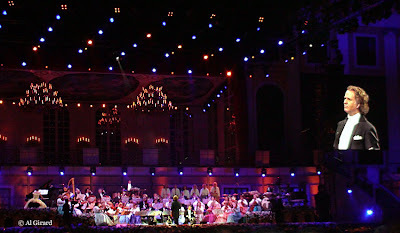 Barnum of classical music. 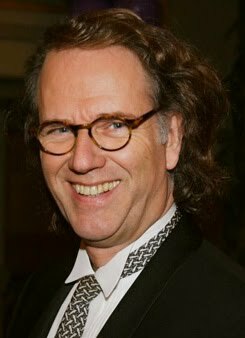 This fabulous Flying Dutchman has managed to bring the classic composers to the masses by offering them tantalising treats no symphony orchestra can match. 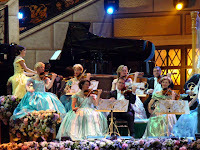 Rieu delivers a portable castle, world-class lighting and sound, an orchestra in opulent evening dress, sophisticated skaters, debonair ballet dancers, airborne singing angels, golden carriages and a 200-strong pipe band for a finale - wow! Sumptuous costumes, self-deprecating humour, entertainment unlimited, he teases and tantalises, pushing the crowds emotional buttons with impeccable timing. 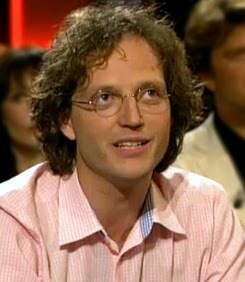 Rieu is selling music, he's selling spectacle, he's selling surprises and he's very cleverly and classily selling romance. This is a musical chocolate box where every delicacy is wrapped in gold. 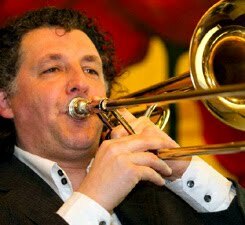 From the stirring 76 Trombone entrance, to Blue Danube, which had the crowd waltzing in the aisles, and the infectious revelry of Ravel's Bolero, Rieu's music spans the classical spectrum. 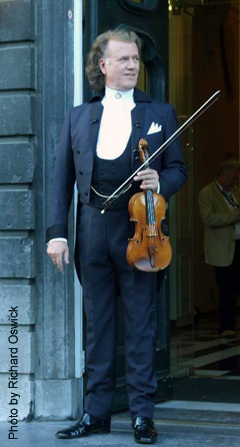 He is no violin virtuoso, even with a Stradivarius, but he's an orchestra leader of major skill. 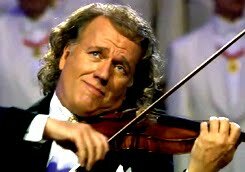 Rieu plays beautifully when we actually hear his solo efforts, but he leads a world-class orchestra in a stunning array of music from Strauss to Mozart, Lehar to Lloyd Webber. And he manages his singers as well as he handles his musicians. The humour, the vocals and the audience hang on his every cue, but make no mistake, this man's genius is making dreams comes true. The singers are exceptional. 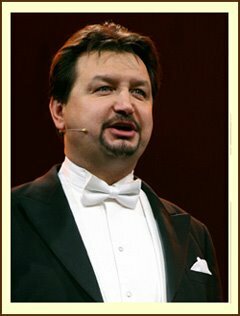 His three tenors, German Thomas Greuel, Hungary's Bela Mavrak and Australian Gary Bennett are the vocal back bone of the show. 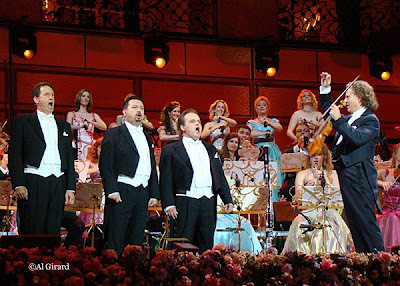 They sing everything from Granada to Nessun dorma, blending superbly and playing up where necessary. 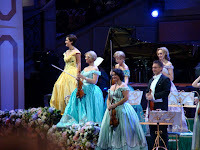 The female soloists are wondrous talent, with Australia's Mirusia shining in a touching version of Botany Bay and Wishing You Were Somehow Here Again from Phantom of the Opera. 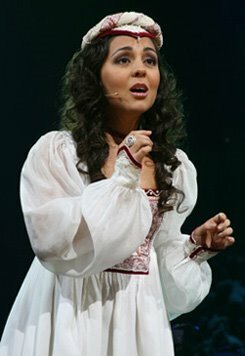 But the show was stolen by the Brazilian charms and soaring soprano of Carmen Monarcha who really stole the crowds heart in several delicious numbers. 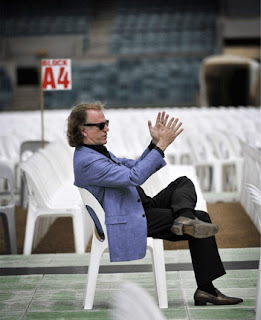 SOUNDS GOOD Dutch classical musical sensation Andre Rieu takes in the surrounds at a sound check at Subiaco Oval today. 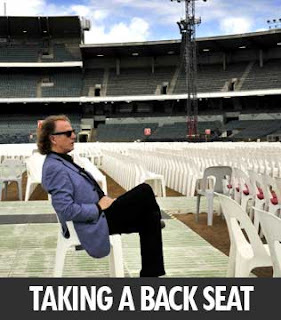 ANDRE Rieu got a close-up look at Subiaco Oval today, before tonight's mega-performance concert at Perth's home of football. 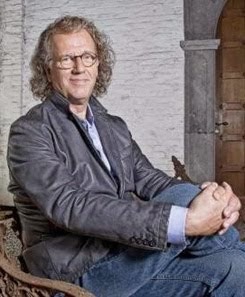 The Dutch star who has made a career of taking classical music to the masses looked relaxed and laid-back as he took in the scene of tonight's concert. 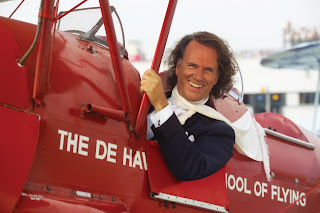 Andre Rieu arrived in Perth today to rapturous greetings from fans and local media all keen to get up close with the Dutch orchestral showman. 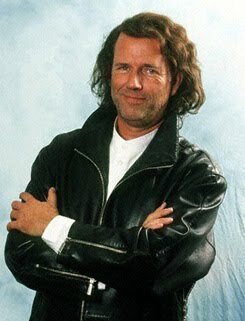 Fielding questions with occasional Germanic brusque, he said he was looking forward to Saturday’s concert at Subiaco Oval and that Australia was one of his favourite countries to perform. 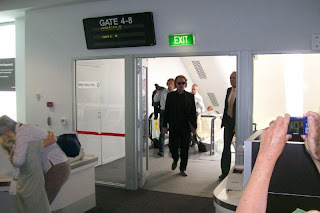 Arriving from the Eastern States in the middle of a round of Australian performances, Rieu seemed somewhat annoyed by all the attention after the 4.5 hour flight west. Without a large entourage, he said he always travels without his wife. “That’s a good thing. It’s better that way,” he said. 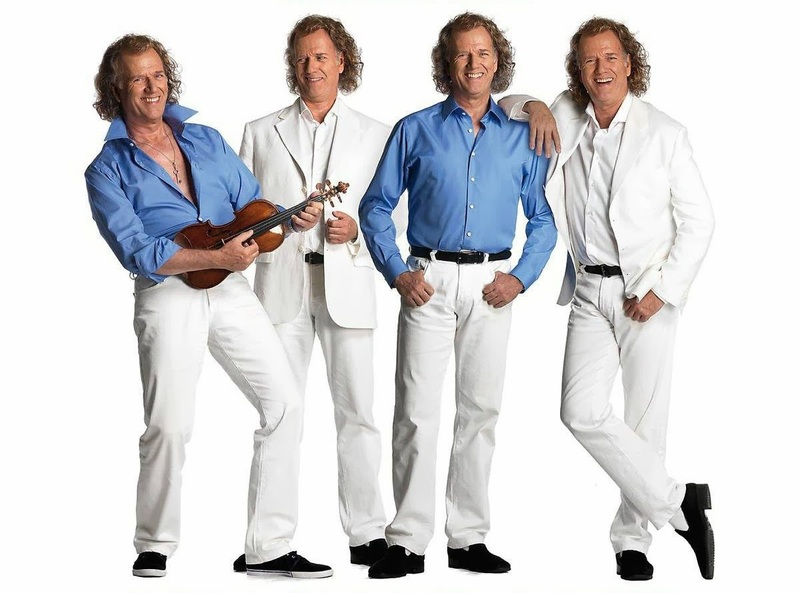 But despite being nearly overwhelmed at the domestic terminal’s baggage carousal, he made time for a number of the 20-strong Perth Andre Rieu Appreciation Club. 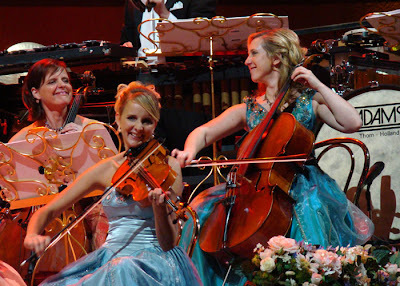 At least four members of the club, which sprang up by a group of keen ladies only last September, had already watched Rieu at two Eastern States concerts and plan to see more. 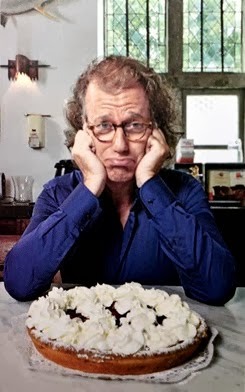 Rieu’s Perth concert had been mired by fewer ticket sales after it was announced his $8 million stage show was to be scaled down which had many Perth fans flying east to see “the real thing”. 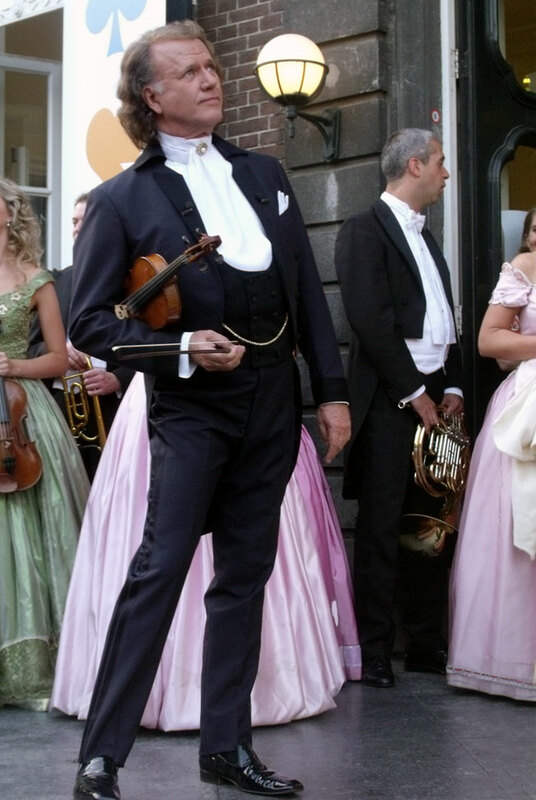 Dutch violinist Andre Rieu has been forced to postpone his upcoming New Zealand visit due to travel complications. 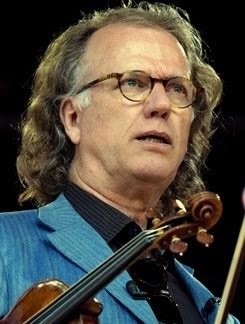 Rieu, a popular violinist with several No. 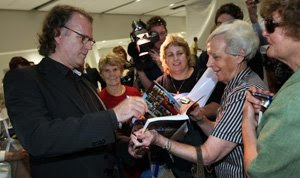 1 albums to his name, was set to hold a signing session at Sylvia Park on Monday. The tour was today postponed. 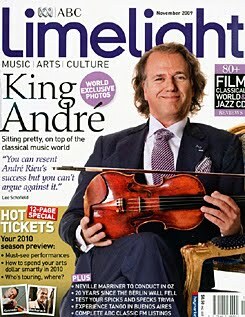 "We sincerely apologise to all of Andre's New Zealand’s fans who have been excited by the news that they would be able to meet Andre at the signing session at The Warehouse," Universal Music managing director Adam Holt said. "We are working with Andre to re-schedule his visit and as soon as we have more details we will make sure Andre’s fans are the first to know. "We apologise for any inconvenience this has caused." 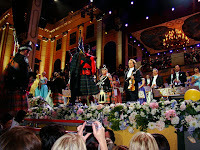 Marian College student and bagpiper James Baxter joined Andre Rieu on stage in Melbourne as part of a massed band. Paul Baxter was also part of the massed band who accompanied Rieu, playing snare drum. 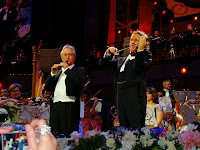 Two Ararat Australia brothers experienced the opportunity of a lifetime when they took to the stage with classical music superstar Andre Rieu. 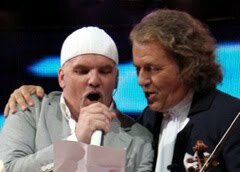 James and Paul Baxter performed in the Dutch violinist's three Melbourne shows at Telstra Dome on Thursday, Friday and Saturday nights. 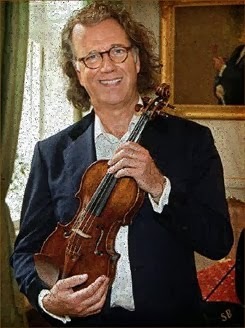 On top of taking part in the classical spectacular, James and Paul had the opportunity to meet the Dutch violinist following the final show on Saturday night. James, 17, and Paul, 15, who both attend Marian College, play with the University of Ballarat Pipe Band. James, who plays the bagpipes, and Paul, who plays the snare drum, were selected from the University of Ballarat Pipe Band to participate in Rieu's concert with a massed band of highland musicians from bands across the country. The massed band of around 100 comprised of musicians from bands such as the Victoria Police Pipe Band, the Australian Federal Police Pipe Band and the Rats of Tobruk Memorial Pipes and Drums band. The group walked through the crowd and onto the extravagant staging to perform Scotland the Brave, Road to Gundagai and Amazing Grace. 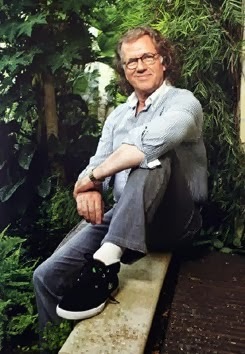 "We sang Waltzing Matilda and danced around on the stage with maracas,'' James said. "It was amazing, I can't compare it to anything else.'' Paul agreed, saying the experience was 'pretty cool'. 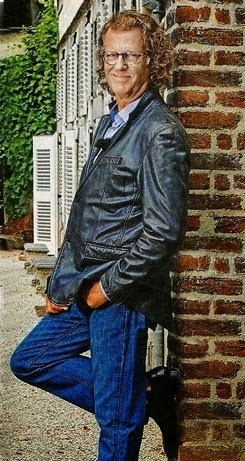 "He's really down to earth and just likes to have fun,'' Paul said. While both James and Paul knew of Rieu, neither had heard much of him. 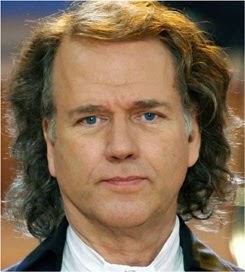 But following three nights of performing with Rieu, both are converted fans. 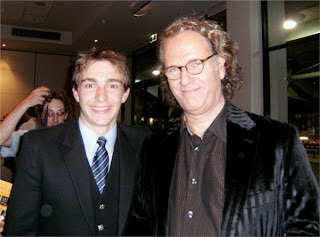 Following the final performance on Saturday, the brothers attended the after party with the orchestra, where they met the Maestro himself and his son, Pierre. James has been playing the bagpipes for around seven years, while Paul has been playing the snare drum for four years. 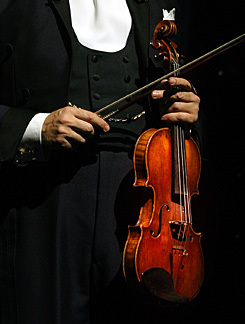 James said originally he had wanted to learn the violin. 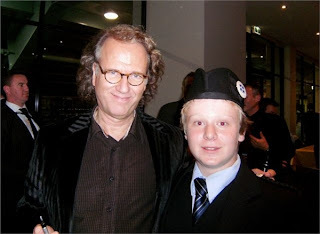 "We were at the Australia Day ceremony listening to the Ararat Pipe Band play, dad asked if I wanted to play the bagpipes and I said yes,'' James said. Paul took up the snare drum after going along to lessons with James and developing an interest in the instrument. The brothers joined the University of Ballarat Pipe Band two years ago, travelling to Ballarat for practice two days a week. The band also participates in championships, most recently finishing second at the Australian Championships in Sydney two weeks ago. 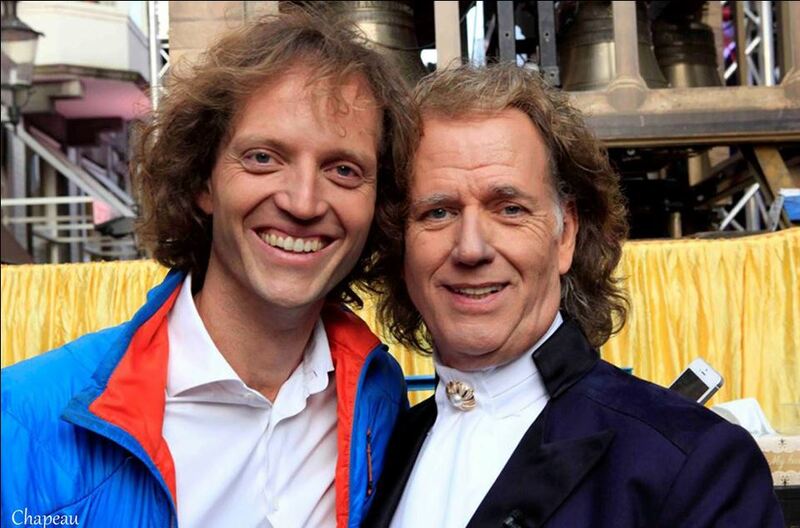 The Rieu concert was the biggest audience the brothers have played in front of, and both James and Paul hope to take their involvement with highland music further. 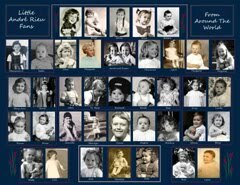 ~Photos From The Ararat Advertiser with permission of the Baxter Family. 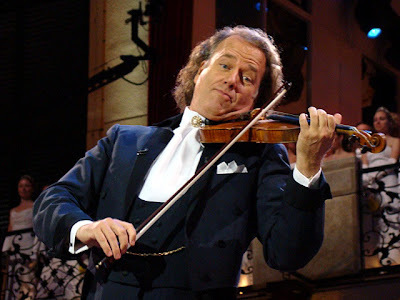 NEW YORK (Top 40 Charts/ Denon Records) In the first week of his Australian Tour, chart topping violinist André Rieu broke classical concert records when he packed Melbourne's Telstra Dome with 89,000 of his fans. 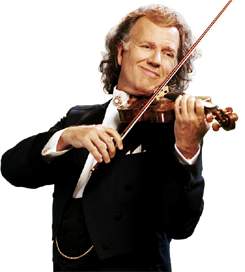 At the last of his three Melbourne concerts, on November 15th, Rieu sold out the Dome and played for an unprecedented 38,605 classical concertgoers. 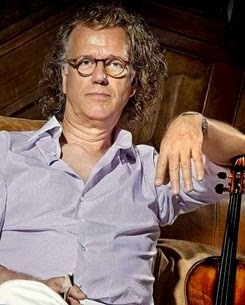 Violinst/conductor Rieu was touched by what he experienced: "We've played all over the world, from New York to Seoul and from Tokyo to Paris, but this was different. To be thousands of miles from home and to get such an enormous welcome from 38,000 people really made me speechless." 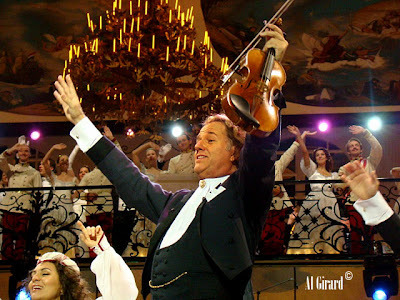 Dancing with the Stars: Rieu and his Johann Strauss Orchestra also appeared on television while in Melbourne, performing on the season finale of the Australian Dancing with the Stars and live on The Today Show. 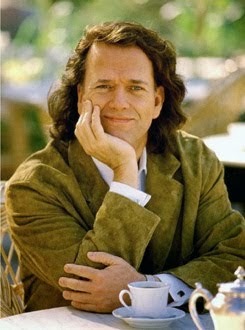 The popularity of Rieu in Australia keeps growing. 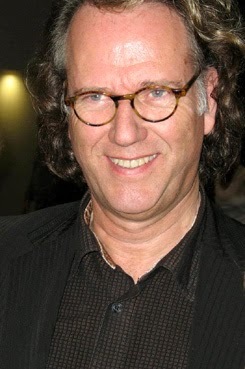 Rieu currently has 15 albums listed in the music DVD top 40. Except for No 6 (Pink) and No 7 (AC/DC) Rieu holds all of the top 10 positions. 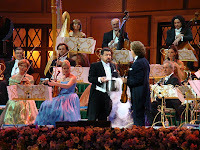 Record-breaking ticket sales and stage Rieu's Australian Tour is showing early signs of record-breaking ticket sales. Vendors have already sold almost 250,000 tickets for the tour's eleven concerts. 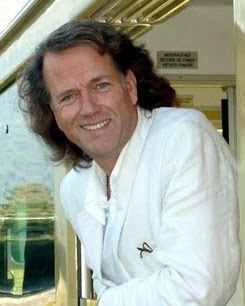 The Australian Tour is the final leg of the 2008 World Stadium Tour in which Rieu transported a full-size replica of Vienna's Schonbrunn Palace around the world. 375 feet wide and 100 feet high, Rieu's portable castle easily exceeds the size of the largest Rolling Stones' stage. 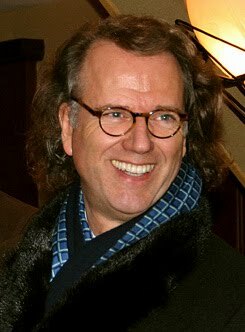 Top 15 touring act Worldwide Pollstar's Q3 report ranks Rieu as the 34th best-selling touring act, placing him between Coldplay and Van Halen. 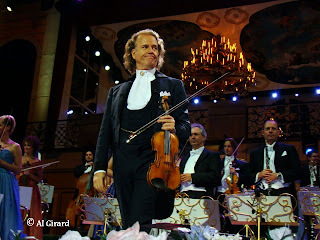 After completing his Australian tour and European Christmas concerts, Rieu will have performed for 700,000 fans. 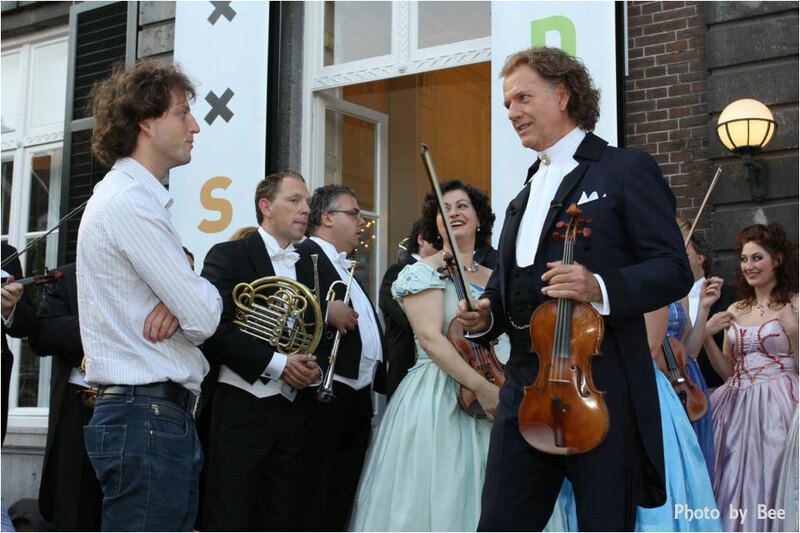 With high concert attendence like this, Rieu is well on his way to securing a position among the world's top fifteen touring acts of 2008. 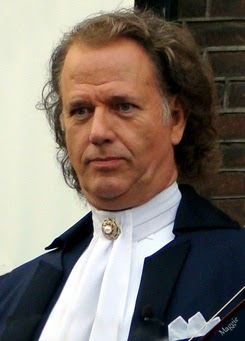 André Rieu watches Neighbours and will appear in a soon to be filmed episode. We Australians do not realise how loved this TV series is overseas. It is possibly a poor reflection on myself when I admit I have never seen a complete episode of this popular soapie. 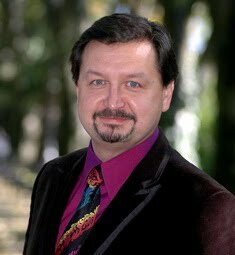 I truthfuly could not count the number of times I was asked about up coming events in Neighbours when in the UK and Ireland. When I explained I couldn't answer the questions because I didn't watch the show, I was looked at in disbelief During one trip to England, Neighbours was being shown three times a day. Neighbours has launched a ton of talent, not the least Kylie, and to a lesser extent Jason. Lots of young actors have been part of the series which screens on Ten at 6.30pm weekdays after "The Simpsons". I had to check the TV Guide to find that out. When André launched into the Neighbours theme Angela and I couldn't believe it. 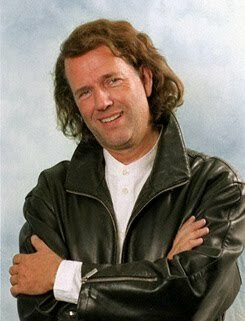 Thinking there was a lot more "Australian" music he could have presented before the TV theme. But now we know why. 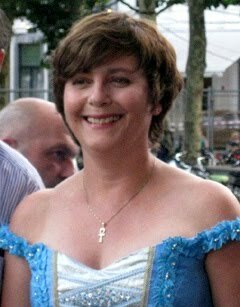 What a coup for Neighbours executive producer "Susan Bower". You can bet the writers are re-writing scripts to slot him in as you read. 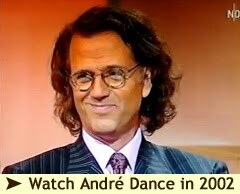 I believe André will be cast as a cold blooded mass murderer who chops up defenseless people and runs them through a meat mincer. Only joking. And why shouldn't I joke? 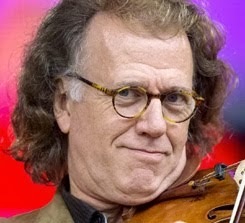 The Dutch Fiddler calls me "The Joker". 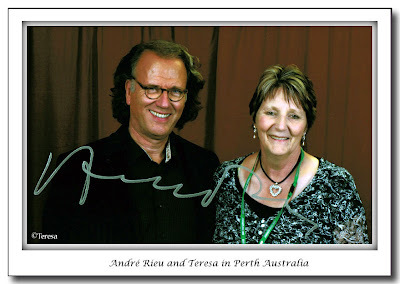 Thank you to Keith McGowan for the picture of him and André that he sent to Jann with permission for us to use it. 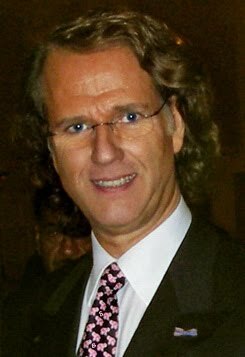 André Rieu has made history. 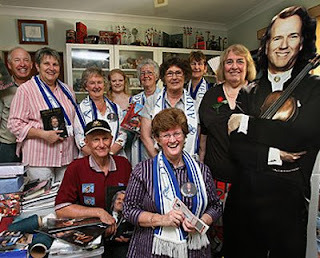 His concert at Melbourne's Telstra Dome on Saturday, 15 November, a record audience of 38,605, made it the biggest attendance of any Rieu show anywhere in the world. That it happened in Australia, the country that has so taken him to heart, pleases him endlessly. "It was an overwhelming experience. The warmth of the audience was overpowering." 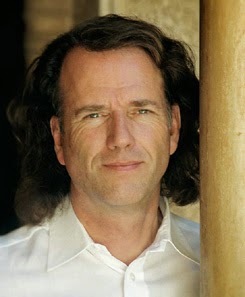 People have asked where Rieu's seemingly endless resource of energy emanate from. 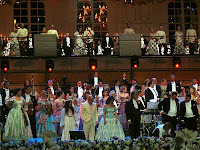 After all, the show, a miracle of precise organisation, is fronted by a seamless flow of entertainment. Anything could go wrong. Yet, so tight is the control, it all runs like clockwork. And for nearly three-and-a-half hours. 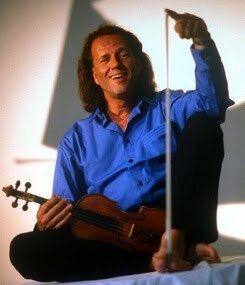 "My energy comes from the audience," Rieu says. I am only returning to them that which they give me." At the most competitive retail period of the year, this week's ARIA DVD chart boasts 8 Rieu titles in the top 10, including all of the top 5. 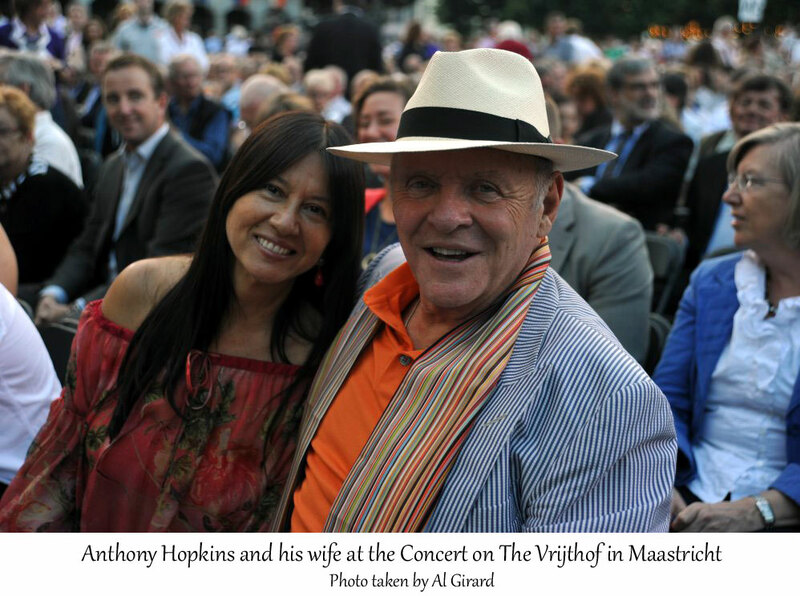 His native country, the Netherlands, will see the Melbourne concert this Friday, 21 November, on the Tros network. Later in the year, on New Year's Eve, Germany's ZDF (also broadcasting to several other countries in Europe) will air the Melbourne show. 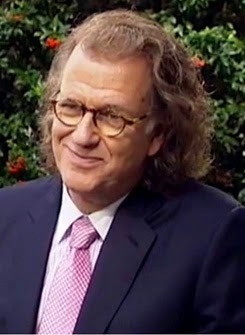 Rieu's inclusion of the "Neighbours" theme in an Australian medley given as an encore has led to an invitation to star in a role in the Network Ten soap next year. 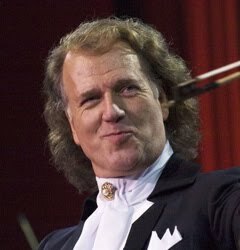 Considered the biggest entertainment extravaganza ever seen in Australia, Rieu's show continued to Adelaide [18, 19 November] and will go to Perth [22 November], Sydney [27, 28, 29 November] and Brisbane [3, 4 December] - a total of eleven concerts which will draw crowds in excess of a quarter of a million attendees. Over 30,000 other homes around Australia also watched the Live Broadcast of Saturday's Melbourne show on Foxtel's Main Event channel. 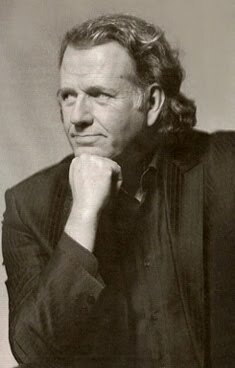 Universal Music Australia, Rieu's record company, has released Deluxe DVD + CD Editions of nine of his best-selling titles, as well as a Sing-Along Deluxe Edition of "Waltzing Matilda" (his best-selling CD), a "Happy Birthday" CD single-with-card, and an offering for Christmas this year, being an intimate collection of Christmas songs entitled "The Christmas I Love". 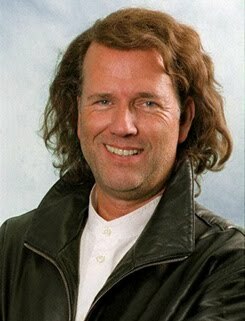 His recently-released 3DVD set, "The 100 Greatest Moments" continues to ride at No.1 in the DVD charts. All-up, sales of Rieu audio and video product through Universal Music are in excess of 1.75 million units, chalking up some 77 Platinum awards, the majority of these sales achieved in under two years, making it a record for any artist in any genre in Australia. 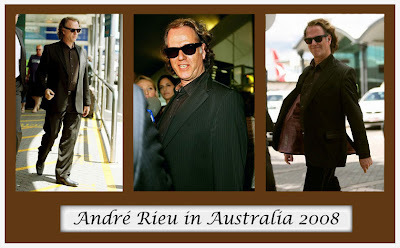 Mark Your Calendars ~ André's Coming Back To Adelaide! 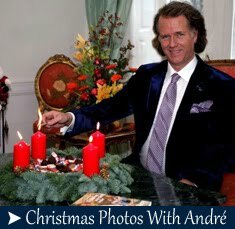 André Rieu Has Announced a Brand New Arena Tour in 2009! Mark your calendars - André's coming back! 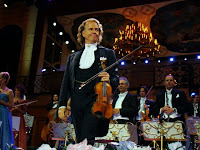 On 26 October 2009, André Rieu and the Johann Strauss Orchestra will perform at Adelaide Entertainment Centre as part of their 2009 Australian Arena Tour, and you can secure your tickets first thanks to Visa Entertainment. 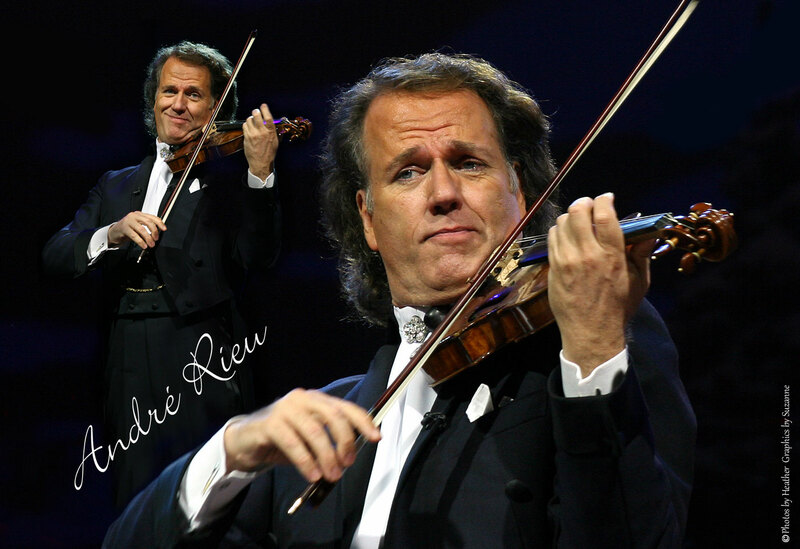 Don't miss André as he crosses the continent, filling night after night with breath-taking music. The tour will play an unforgettable new show across Australia and New Zealand. Get your tickets now! During this Visa Entertainment Internet Pre-sale, a Premium Access fee of $20 per ticket has been applied to ensure the allocation of premium seating prior to general public on sale. 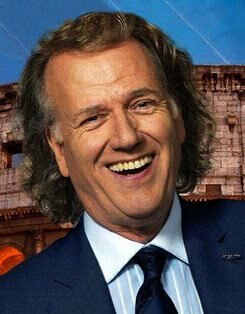 Book tickets to André Rieu’s new Adelaide show during the Visa Entertainment Internet Pre-sale on Wednesday 19 November, noon, until Thursday 20 November, 5pm. 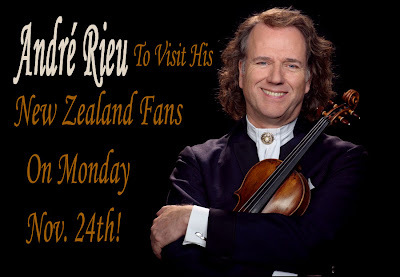 November 18, 2008 Universal Music New Zealand is very excited to announce the first ever New Zealand visit from its biggest selling artist of the past two years, Andre Rieu, this coming Monday 24th November. 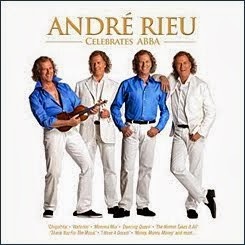 Andr Rieu is nothing short of a global phenomenon having sold close to 40 million CDs and DVDs worldwide! 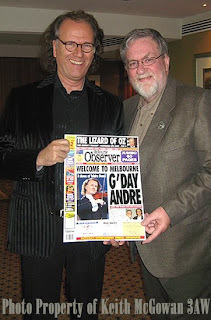 In New Zealand Andre has sold in excess of 150,000 DVDs - the equivalent of 30 times platinum sales! 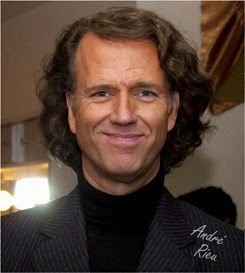 For three weeks in June 2008 alone, six of the titles in the Top 10 Music DVD chart were Andre Rieu DVD's! Andre is currently touring Australia and is taking time out of his busy schedule to make a very special trip to Auckland so he can meet his fans up close and personal at a signing session to support the release of his brand new CD Waltzing Matilda. The special New Zealand edition of Waltzing Matilda features Andre's own version of 'Pokarekare Ana,' recorded especially for his Kiwi fans! Andre will be meeting fans and signing copies of Waltzing Matilda at 3pm on Monday at The Warehouse store in the Sylvia Park shopping mall. Bring your copy of Waltzing Matilda to be signed, or purchase one from The Warehouse on the day. Make sure you get there early - a previous signing session at Melbourne's Telstra Dome saw more than 8,000 fans turn out to meet Andre. 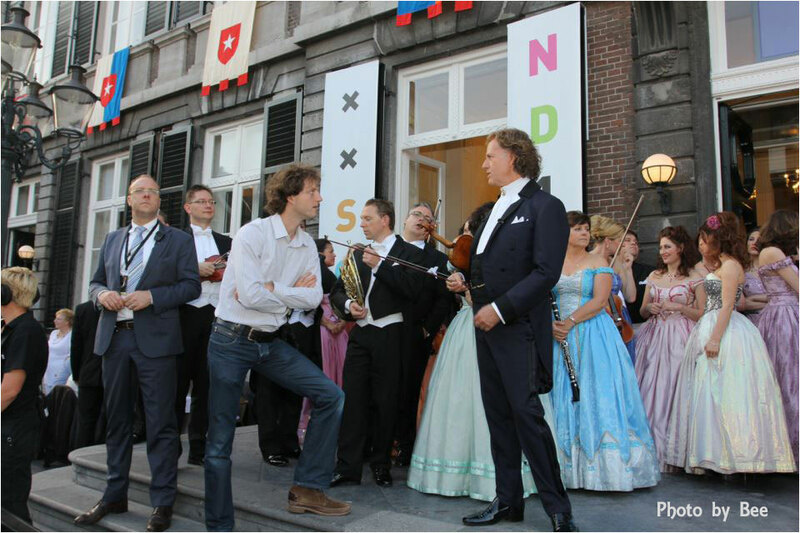 Don't miss this incredible once in a lifetime opportunity to meet Andre Rieu in person! 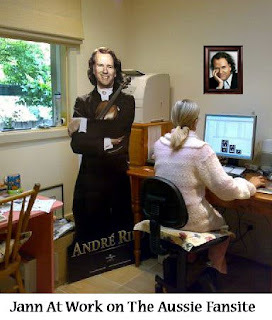 ANDRE RIEU SIGNING SESSION 3pm this Monday 24th November The Warehouse ~ Sylvia Park, Auckland. 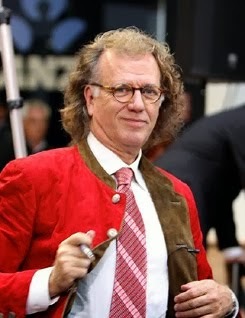 THERE was schmaltz, glitz and pizzazz, and then there was Andre Rieu. Not a moment passes by without this omnipresent, laconic, beaming Svengali impressing his absolute authority on the proceedings, a musical iron fist in a velvet glove. 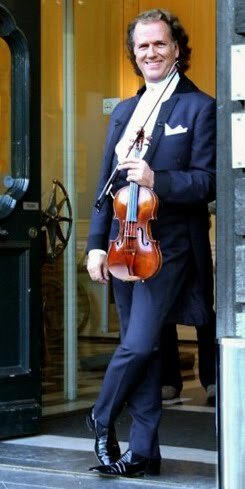 His hero, Johann Strauss, would not have been dissimilar, dictating with his Stradivarius from the podium and talking to an enraptured audience of thousands as if by his own fireside. The packaging was as important as the contents in this smorgasbord of waltzes, marches, folk melodies and operetta extracts loosely woven around Strauss’s Vienna with stunning visuals from Schönbrunn to the Austrian imperial coach. 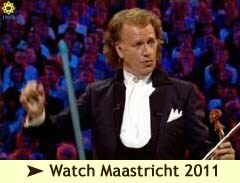 Undoubtedly eye-candy surpasses ear titillation in this Rieu production, but his band, his bevy of soloists, including three sopranos and three tenors (of course), dancers, ice-skaters and a pipe band all perform to an excellent standard although, strangely, remaining uncredited in the program. 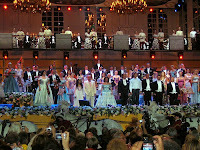 Undoubtedly, things really took off after dark when the set assumed added depth and there was audience dancing in the aisles to the Blue Danube Waltz, and sing-alongs, whistlings and clappings galore. Ordinary enough, you may think, but quite electrifying when thousands are involved. 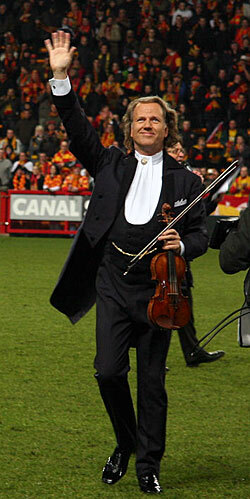 And that appears to be the key to Rieu’s great success with the over fifties. This was not exactly a concert of classical music, as frequently observed, but more a celebration of music for the broad community based around the waltz and its off-shoots where people are made to feel welcome. Is it worth going? Absolutely, if you want to trip the light fantastic figuratively or in reality, or if you like to see grins from ear to ear brought about by the power of simple music in a persuasive setting.